Customer Relationship Management Software Manage leads and set up automation for your sales process! There are two ways for leads to enter the system. The first is a manual process by typing in the lead information using the Add Contacts area available on most of the sections. The second is by using custom created forms in the MyForms area or have Bridgeleaf Studios custom build and install the forms on your web site. Users can assign leads to employees, add notes to the lead, change the status of the lead, upload documents, create events, adjust next contact dates, and create an on going customer history from one centralized area. Convert the contacts into clients when sales are made. 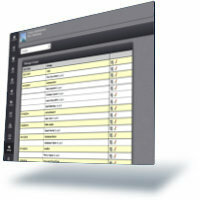 All information in the MyContacts area is then converted and stored under the MyClients area. Additional functionality is available once the contact becomes a client. 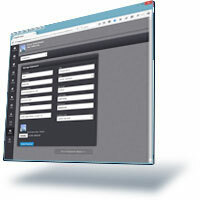 Using the preferences area within the application, administrators have the ability to add or remove employees. Employees that are added to the system can have admin, sales, support, or vendor rights within the system. The administrator has the option of re-setting employee username and passwords to control access to critical data. The number of employees allowed within the account is set when you purchase the number users accessing the account. 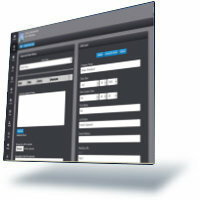 When CRM users create events, add contacts, or add clients, all the data is stored and displayed within the calendar. When the user rolls over the particular day, multiple icons reflect the specific activity or event of the day. This minimizes the number of clicks and pages loads needed to view the information of that day. Minimal clicks means a more productive sales force. All of this information appears in the calendar and provides a quick view of events scheduled for that day. Leads and Clients that enter the system are also on display for quick access to critical information to eliminate multiple clicks. Administrators can build a custom sales process for employees so that customer history, sales forecasting, and pipeline reports are easily generated. This will help you employees close a deal much faster with better records. CRM users have multiple avenues for upselling to individuals on the phone or through email. Simply use the Steps and Actions associated to the sales process created by the administrator of the account to track the customer's history through the whole sales process. The administrator sets up every aspect of the sales process. 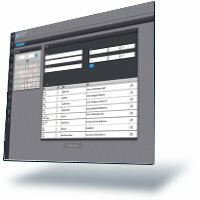 Assign various access levels to sales, customer service and technical support personnel. Control the internal flow of information throughout an organization. Employees see only what you allow them to see by assigning a level of access to the employee. 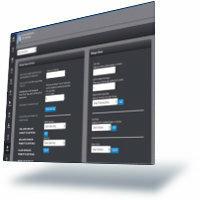 Administrators of the account are able to view all leads,events,and clients currently in the system. There is no way to hide anything from the administrator. Sales people only have the ability to view leads, events, that are assigned to them. If sales individuals need to perform contact look ups, the MySearch area that allows the sales staff to look up the information to confirm whom the lead is current assigned, but they can not modify any of the information associated to that contact. The administrator sets up the company sale process from within the Settings. Steps and Actions need to be added to the CRM system in order to build the process. Business processes that are used internally within the organization are transferred over to the steps and actions. 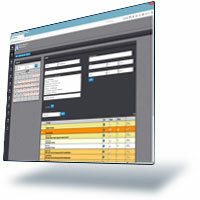 This allows the CRM users to build customer history and forecast sales. When steps are created in the system, the actions are then assigned to the steps. Actions are also assigned specific percentages to forecast the chances of the contact converting over to sold. As the steps and actions associated to the contact are assigned, the customer history begins to grow and the chances of the contact becoming a client or being sold increases. Contact Us Today for Free Demo!